Ridge Gourd Shallow Fry recipe is a famous South Indian Recipe. It’s less spicy, incredibly smooth and creamy toothsome good. Before going to the recipe, let’s have a quick sight about this heroic stuff. 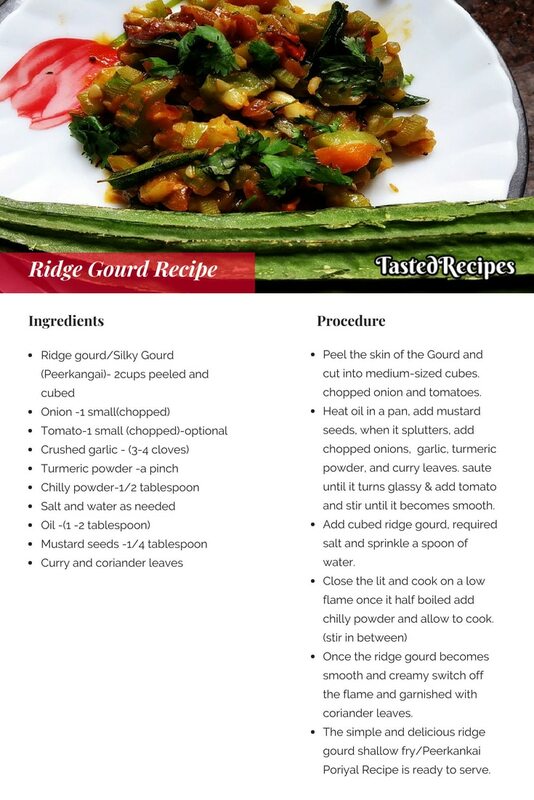 Ridge gourds are moisture-rich, low-fat, dietary fiber-rich vegetables. Its plant itself is filled with a lot of health benefits. 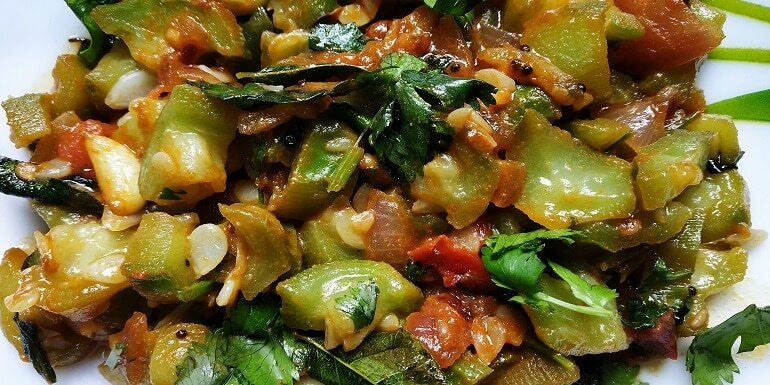 We can prepare a variety of dishes with ridge gourd. If you looking for a recipe with a balanced spice and creamy delicious than this the best choice for you. Peel the skin of the Gourd and cut into medium-sized cubes. 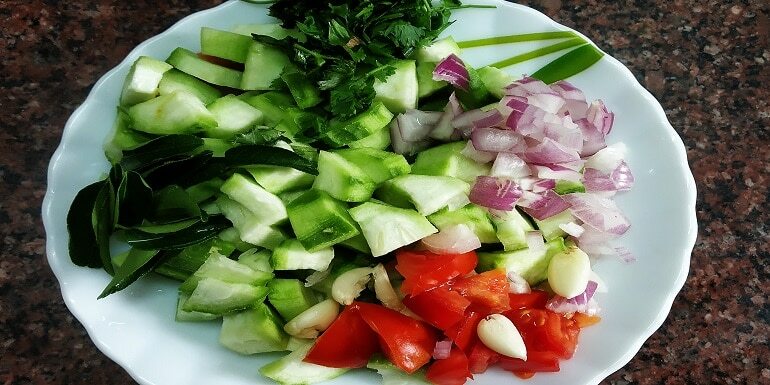 chopped onion and tomatoes. Heat oil in a pan, add mustard seeds, when it splutters, add chopped onions, garlic, turmeric powder, and curry leaves. saute until it turns glassy. Then add tomato and stir until it becomes smooth. 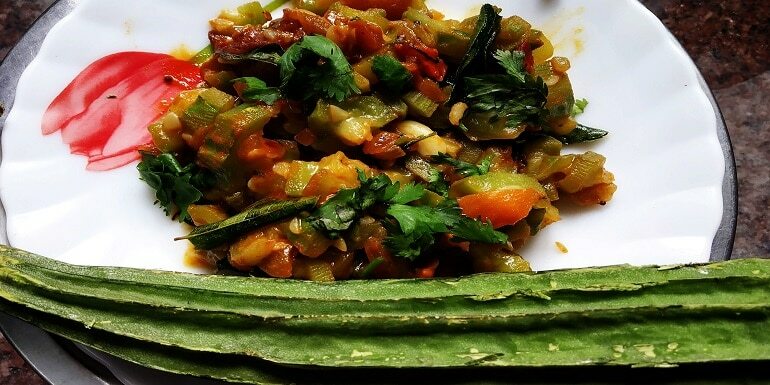 Once the ridge gourd becomes smooth and creamy switch off the flame and garnished with coriander leaves. The simple and delicious ridge gourd shallow fry/Peerkankai Poriyal Recipe is ready to serve. The combination will work good with curd rice or plain rice or enjoy just the way it has been made.